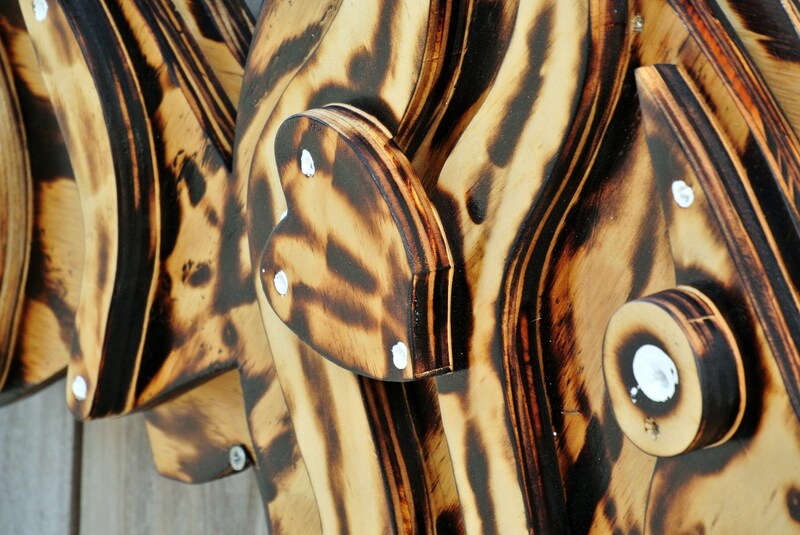 Burned 3D Wood fish decor 28x23 Tiki bar wood fish wall art. 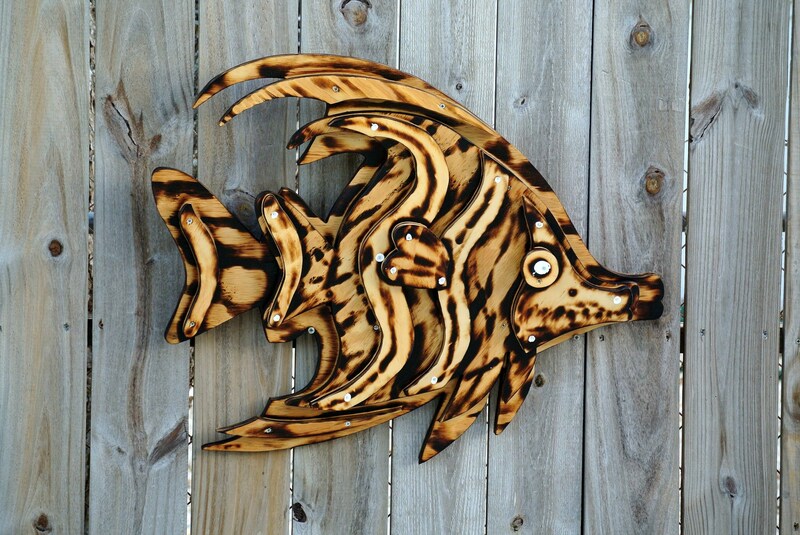 Tropical fish decoration. Pool Deck Sign. 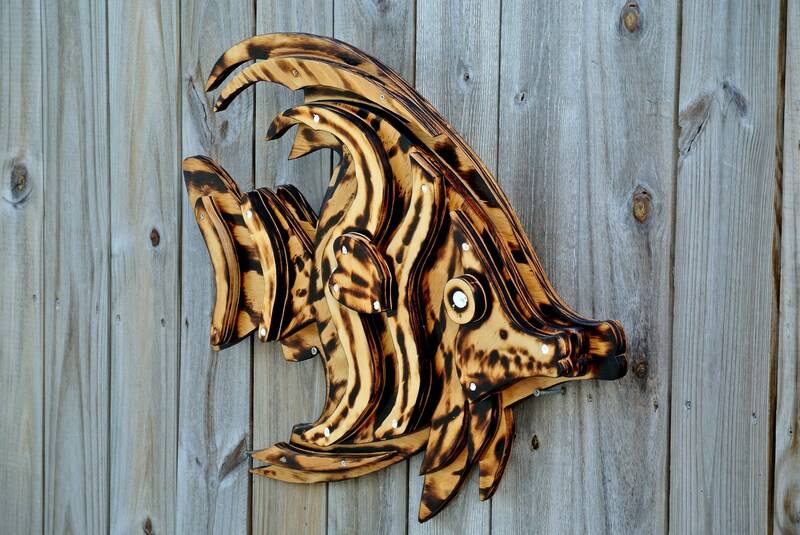 Burned 3D Wood fish decor 28"x23" Tiki bar wood fish wall art. Tropical fish decoration. 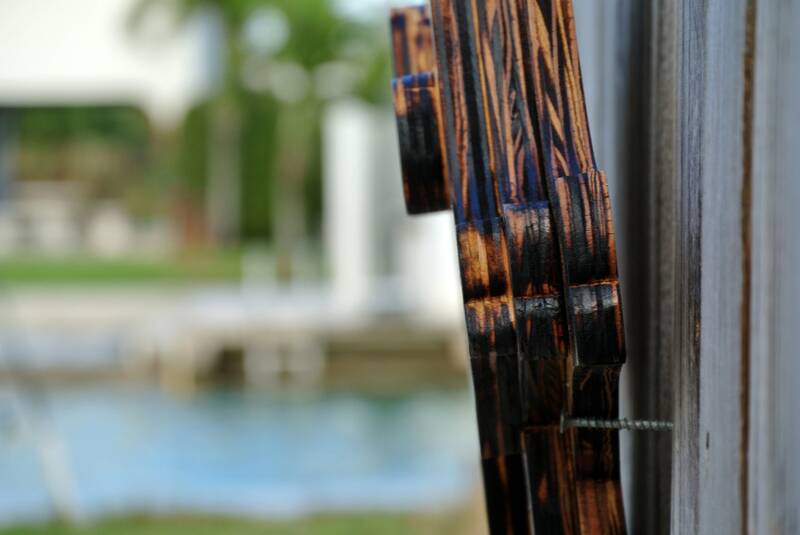 Pool Deck Sign. 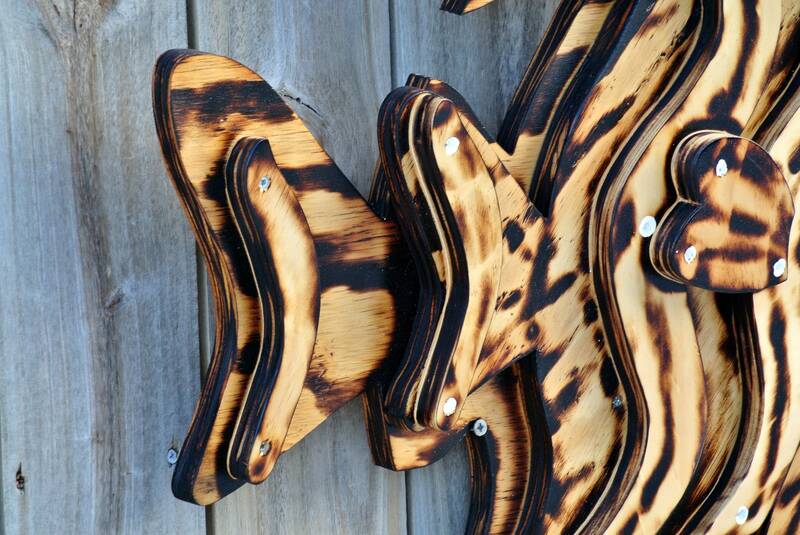 Decorate your Tiki Bar, Pool deck or Home with our 4 layers custom Burned wood fish decor. Could be a gift for any occasion. 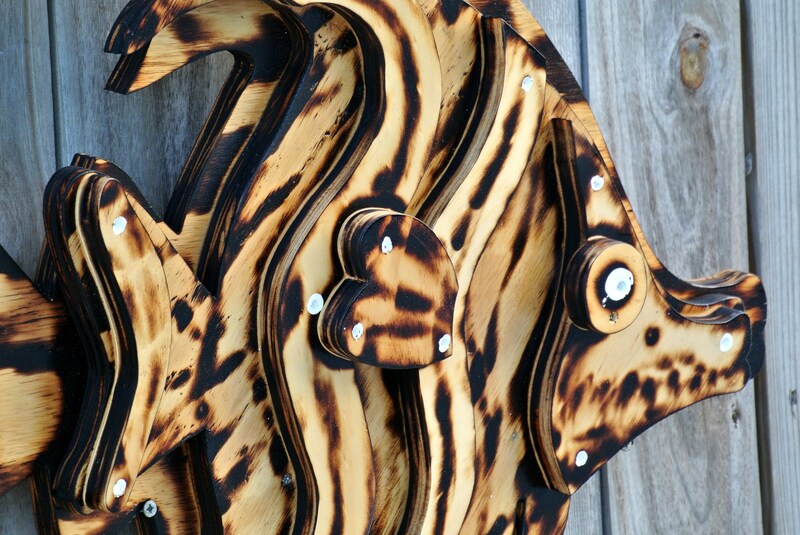 Hand cut from high quality wooden boards, it's 4 layers fish decor, decoratively fire burned. 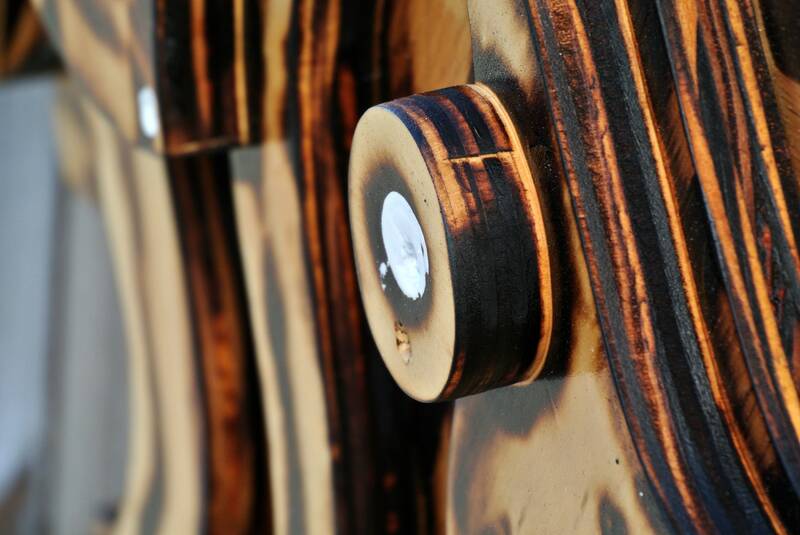 Shown in natural clear coat, if you want custom wood finish color, just message us:))) as well as if you want different size. 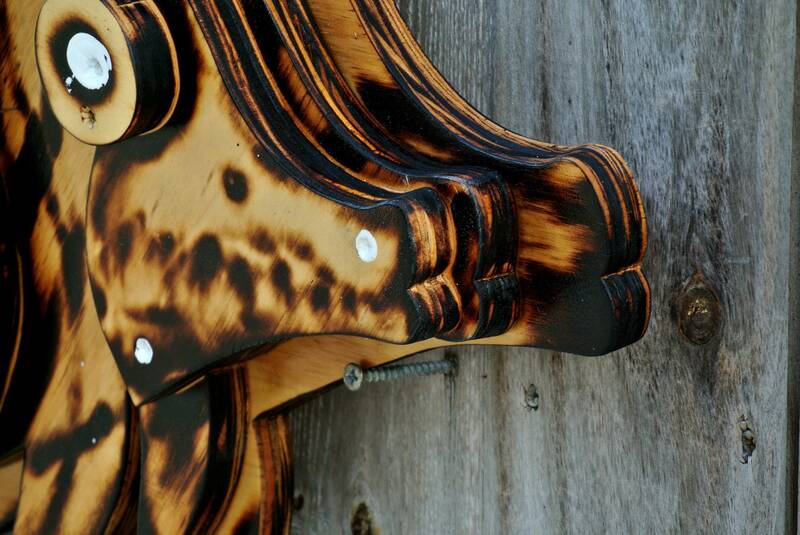 Comes with 2 keyholes for easy wall hanging. 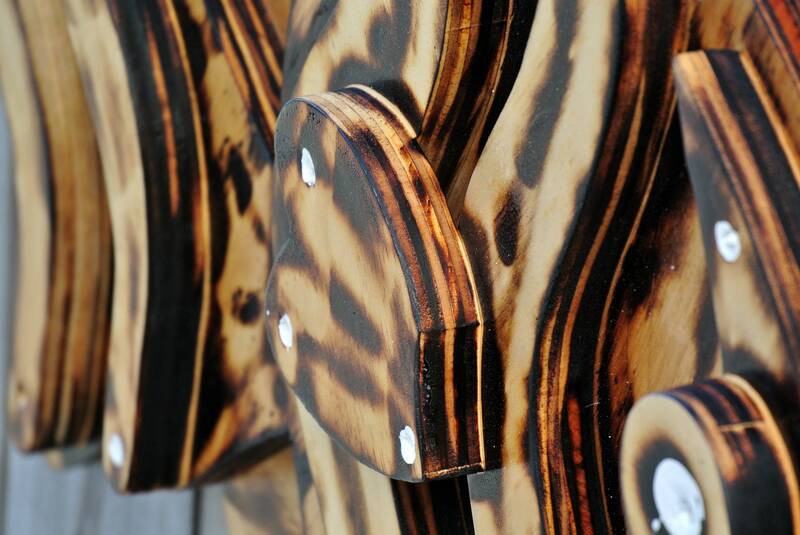 great for indoor and covered patio outdoor. 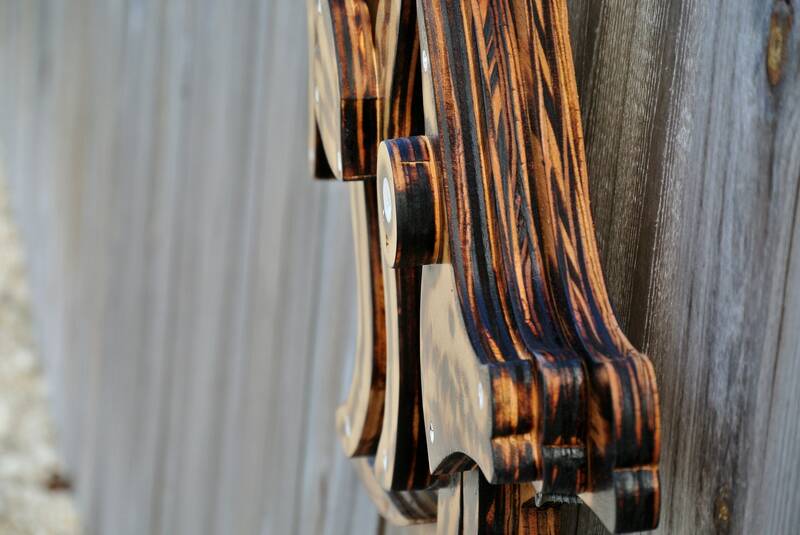 International order: please message us before ordering for final price and shipping cost, additional shipping charges and Custom charges may apply.